Portrait of a City. Gary Kaulback's new video "On the Mountain" is by no means the first attempt to capture the essence of Hamilton on film. One much earlier and long forgotten endeavour was a movie featuring Hamilton shot over 50 years ago in 1946 that was entitled "Portrait of a City." Though the movie says little about the Mountain community it inevitably acknowledges the uniqueness that the presence of the Niagara escarpment brings to the city of Hamilton. This vintage movie is just over 20 minutes in length and is well worth the investment of your time. Though it is dated, both as to content and movie making style, it nevertheless presents a vision and passion for Hamilton that it seems we need to recover. 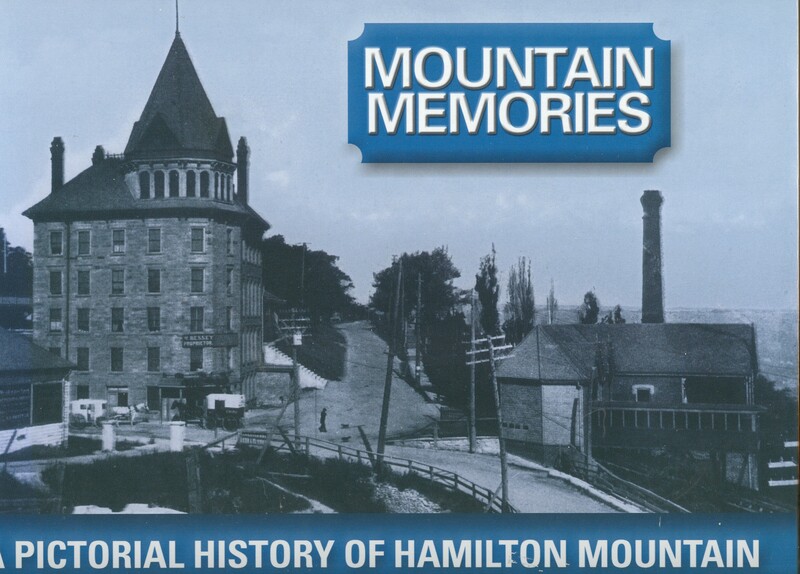 This was the first publication project of the Hamilton Mountain Heritage Society and was entitled Mountain Memories. While billed as a pictorial history of Hamilton Mountain it is much more than just pictures. Originally published in 2000, this volume provides a lot of interesting detail about the original settlement and growth of the Mountain community. It is a book which helps those who live on the Mountain today appreciate more fully the character of the community of which they are a part. After being out of print for some time this book is once again available from the HMHS. 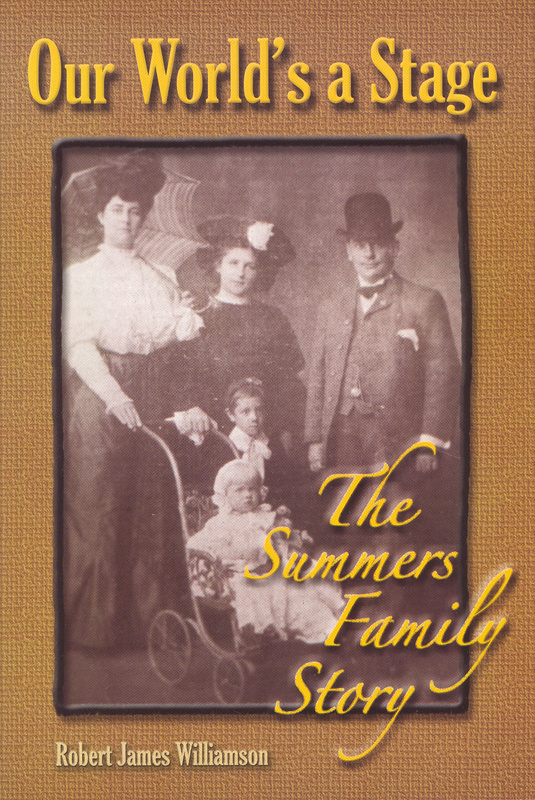 Our Worlds a Stage: The Summers Family Story, written by Robert Williamson, provides the detail for the Summers family who are featured in the "On the Mountain" DVD. A century ago, before the advent of radio and television, the popular place to go for live entertainment was the Summers Theatre. Each summer season a total of about 73,000 people ascended the Wentworth Street Incline Railway to attend the open-sided, air-cooled theatre at the top of the escarpment. For eleven seasons George H. Summers Theatrical Enterprises Limited, operated this one-of-a-kind attraction. The author has used many never-before-seen photographs to illustrate what made this Summers' family showplace so popular. He explains what became of the family and the theatre that was once a part not only of Hamilton's heritage but of the nation's theatrical heritage as well. This book is also available through the Hamilton Mountain Heritage Society. Mountain Memories: The Monthly Edition Bob Williamson, a local historian and member of the Hamilton Mountain Heritage Society, writes a monthly historical column for the Mountain News. An archive of these articles is maintained on the HMHS website and these can be accessed at HMHS-Mountain Memories. Check back often to stay up to date on what is happening on Hamilton Mountain. The banner graphic on this page depicts a scene near the top of the Jolly Cut as it was portrayed on an old postcard.